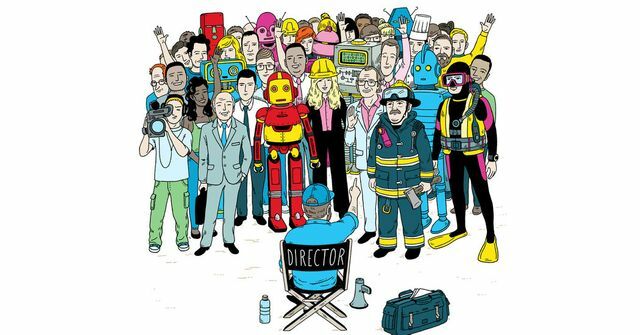 I've been interested in an idea about the future of work and careers I first heard a few years ago from a Harvard business school professor, called the "Hollywood" model - where work is managed like a film production, drawing in specialists and teams who do their thing, then move on to the next. His talk was more about project management than career progression, focusing on leadership lessons from top directors, like a morning 'stand-up meeting' to pinpoint the most essential tasks and deliverables for the day, scene or shoot. Agency work has always applied elements of this to campaign management, especially as ever-increasing specialization is required for success. This is a trend I believe we can expect to continue well into the future, with "winning" determined by those most fluid and agile in assembling the right teams for the work at hand. Now it's creeping into the way we see our careers progressing, too, with roles defined less by seniority or longevity in a position, and more by the portfolio of projects currently underway. This is explored a bit further (along with other concepts) in a paper from IBM (a client of ours) on the future of work, here. The article below offers a bit more context, too. What do you think? Will agencies operate more like 'studios' to serve clients? This approach to business is sometimes called the “Hollywood model.” A project is identified; a team is assembled; it works together for precisely as long as is needed to complete the task; then the team disbands.